If you’ve never been in a healthy relationship, it can be really easy to buy into the story that you don’t know how to have a healthy relationship. You don’t know what to do, how to be, or what to say. For my caller, this created so much fear that a part of her just wanted to stay single so she didn’t have to deal with the constant fear and self doubt that she’s screw everything up. 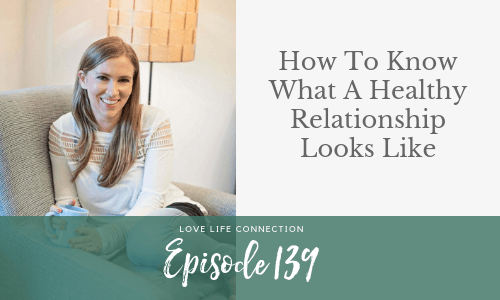 As I coach Joanne, you’ll see that her question isn’t just about how to be in a healthy relationship, the question in fact, goes much deeper than that. Ready to uplevel your life and relationships? If you’re ready for something big to change in your life, done with feeling crappy every day, feeling alone, or just keeping yourself busy to avoid the feels, apply my 1x1 coaching HERE. I have only 4 spots left for 2018! Tried all the dating things, but nothing is working? Sign up for my free Find Meaningful Love Meditation Challenge. It’s free, and you get your first meditation as soon as you sign up! Get your first meditation HERE.